The old tea china gently rattled as he walked down hand hewn wood stairs, fire cold dead now but for smoky remains. As he latched the door and walked the cobbled streets to work early morning sunlight streamed over mermaid shaped clouds. Shades of Dr. Jekyll and Mr. Hyde, Prof. Manley slowly became Dusty the Tattooist. Consumed with his near to waking dreams from the night before of Indian chiefs and red mesas, the most un-Brit women clad scantily whirling around with exotic snakes, fans and feathers, the ground littered with heads of evil marauders impaled with a Scotsman's Sgian Dubh knife. The fantasies ran another beautiful day in Grimsby, which, once fueled by fishing and maritime, was now headed into steep decline. The town was not yet fully awake as Dusty lit his first cigarette outside the neat as a pin shop. A retired sea captain allowed a greeting as he stumped by. Neptune, God & Country and the Girl at port-side home were all a-waiting to be memorialized in tattoos. 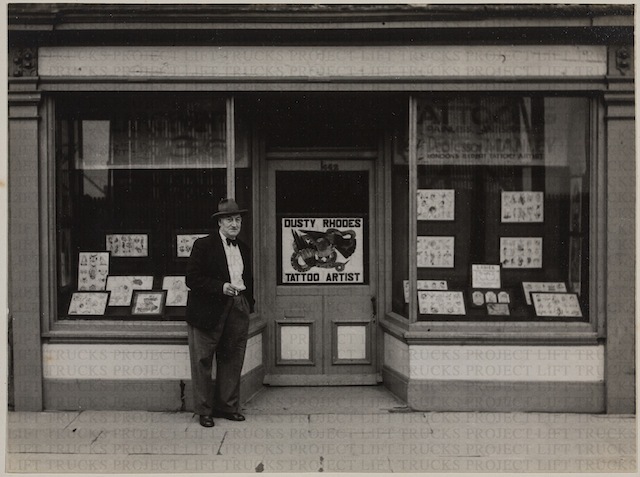 Children peering in the tattooists window were scooted down the road by overburdened mums. 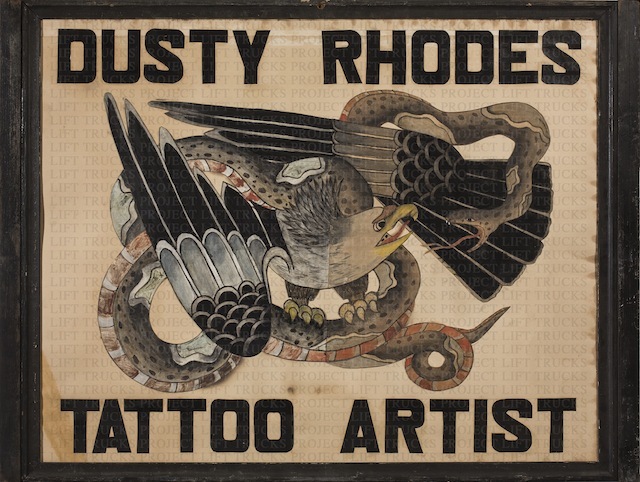 Manley "Dusty Rhodes" (1860-1962) was listed as a tattooist in Chatham, England 1911 although he spent most of his career in Grimsby. 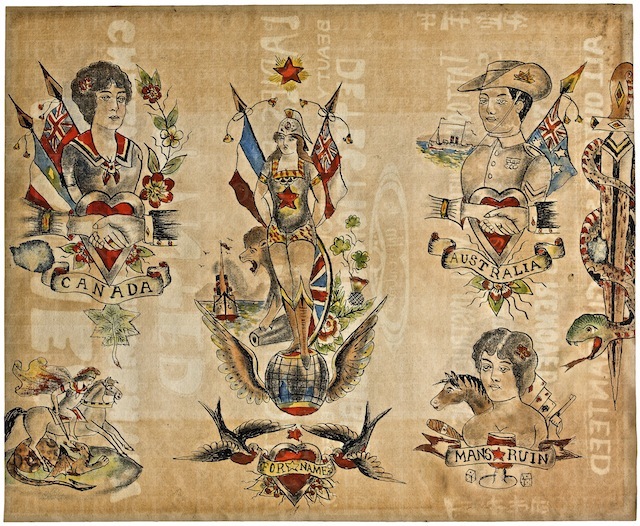 The designs above found in Dusty's shop, are most certainly by Joseph Hartley who sold flash samples and materials from his famous Bristol tattoo shop. This anonymous sheet below was found on the back of the Ladies Cheeks Tinted sign seen in window.